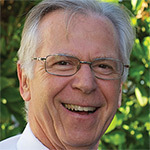 Dr Ian Hammond (retired) is a Certified Gynaecologic Oncologist who worked at the Western Australian Gynaecologic Cancer Service, King Edward Memorial Hospital for Women in Perth. He was responsible with John Taylor for the development and implementation of the Anatomy of Complications workshop. Ian was a member of the expert advisory group to the National Ovarian Cancer Program, Director of Gynaecology at King Edward Memorial Hospital for Women and an Adjunct Professor in the School of Anatomy and Human Biology at the University of Western Australia. He was actively involved in the training of specialist trainees in O&G and subspecialty trainees in gynaecologic oncology. Ian is still involved in the National Cervical Screening Programme and is involved in the drafting of new guidelines for the screening programme. He is a keen photographer and traveller. Mr John Taylor (retired) is a Urological Surgeon and Urogynaecologist. 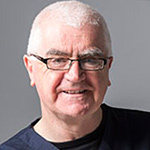 John worked at the Department of Urology and Urogynaecology at King Edward Memorial Hospital for Women, Perth, Western Australia and in private practice. He was responsible with Ian Hammond for the development of the Anatomy of Complications workshop and was the driving force behind the interdisciplinary involvement of teachers in our faculty. John was actively involved in the training of specialist trainees in O&G and in the teaching of urogynaecologic surgical techniques to specialist colleagues. He now spends a considerable amount of time in Africa, performing urological, general, gynaecological and obstetric surgery. At present he is working with colleagues to try to overcome incontinence in those women whose fistula surgery has failed. Professor Paul McMenamin was the Professor of Anatomy at The University of Western Australia at the time the course was developed. His contribution to the ACW was huge and included overseeing the development of the pelvic prosections which are a core part of the teaching of anatomy at the ACW. Paul’s area of specialty was the anatomy of the eye, but he took to the challenge of developing this course with enthusiasm and his knowledge of the pelvis and the autonomic nervous system is amazing . Paul has been responsible for the development and integration of the Anatomy module of this workshop. 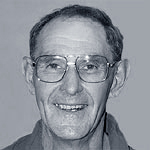 Paul was awarded the 2002 Excellence in Teaching Award from The University of Western Australia. He has been responsible for the concept, design and development of a novel and innovative anatomical wall chart of the surgical anatomy of the pelvis, in conjunction with John and Ian. Paul now works at Monash University in Melbourne.